Former world champion Gavin Rees ground out a points win over unbeaten Andrew Murray to win the vacant European lightweight title in Cardiff. 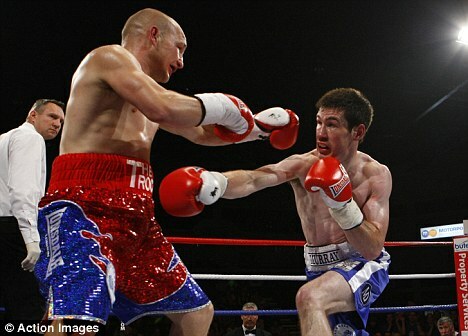 Andy Murray unwillingly lived up to his “Quiet Man” ring moniker in and out of the ring in Cardiff last Saturday night, as he was out foxed by Gavin Rees in their European lightweight title fight. The stocky Welshman, who briefly held the WBA light-welterweight belt four years ago, is now competing back down in his more natural division and looking to propel himself back onto the global scene. Murray looked too timid for much of the fight as aggressive Rees, conceding around six inches in height, carried the fight to the Irishman.